International Women’s Day 2018: What has Changed in the Past Year? On the face of it, it seems like a lot has been happening on gender equality since International Women’s Day 2017! I wrote then that the time had come to bring real and lasting change to redress the world’s deep-seated gender imbalance so that a true feminine power could emerge. This power could only emerge, I suggested, once women discovered within themselves what it looked like and truly embraced and honoured it in their lives. So, one year on, have we made any progress in that direction? I was prompted to write this time last year by a wave of international enthusiasm for demanding women’s rights, triggered by the inauguration of a self-confessed groper of women as the President of the United States. But, while this certainly lit the flame of public outrage, it somehow fizzled out (as strangely seems to happen with Trump’s offences). So, in the end, it was not having a misogynist in the White House that pushed us over the edge of what we could tolerate. Instead, it was the allegations against Hollywood film director Harvey Weinstein that emerged in October. This scandal set the fire of outrage ablaze with an unexpected ferocity. And gave rise to far more high-profile and long-running campaigns – like Me Too and Time’s Up – highlighting the worldwide prevalence of sexual assault and harassment and gender-skewed power structures. These celebrity-driven campaigns have certainly done much to raise awareness among men and women of the global endemic of gender abuse and discrimination and to significantly change the mood, creating a feeling of enough is enough. They have demonstrated that there has been a positive shift in our Western consciousness in recent decades. Clearly, a significant number of men have continued to think that abusive and demeaning behaviour is acceptable and women, feeling powerless, have put up with it. But, with these campaigns empowering women to raise their heads and their voices, many more men have joined them to say that we are not going to put up with such behaviour anymore. The scandal has also led to the spotlight being shone on the extent of gender discrimination in the workplace. Anything that brings discrimination and abuse out into the open, that emboldens women to speak out and that positively changes the public mood on gender issues is welcome. But what has been called out in recent months is, of course, only the tip of the iceberg. Little has yet changed for the majority of women around the world, who – hidden from the public eye – continue to suffer myriad forms of abuse and discrimination. She is right on all these counts. It remains to be seen whether this fire will continue to burn brightly enough to fuel the persistence needed to spread awareness and bring lasting out-of-the-spotlight change. I have my doubts, for I do not think most people realise quite how deeply entrenched male privilege is in the world. This brings me back again to what I wrote one year ago about the emergence of true feminine power and to my question about how much progress has been made in that direction in the past 12 months. So, as urgent as exposing abuse and implementing changes in policy and processes certainly are, they are still just Band-Aids to help to minimise the suffering caused by the underlying problem. And that problem is that the centuries-old influence of the male patriarchy runs so deep that every aspect of our lives is tilted in favour of the male, the Yang, the masculine principle in the universe. The feminine Yin force is softer, gentler and more fluidly, changeably cyclical than its direct and forceful masculine Yang partner. Yin is the aspect of darkness (night, Winter), of contracting inward, of returning to source, of reconnection to essential truth, of reflection, of intuition, of restorative stillness, of acceptance, while Yang is the aspect of light (day, Summer), governing outward expansion, activity, intellect, ambition and unapologetic expression of one’s truth. The Moon is Yin – and women are naturally attuned to the cyclical rhythms of the Moon, which are written into our bodies in our menstrual cycle, whose echo continues after menopause under the lunar influence. Male energy is more aligned with the constancy of the Sun. Most people grow up in cultures that teach us from the youngest age to honour the male over the female principle – to value activity (Yang) over rest (Yin), speed over slowness, ambition over acceptance, strength over weakness, (the appearance of) success over failure and a linear, push-on-through, competitive, intense lifestyle over a cyclical way of being that moves between activity and rest in line with our own energetic rhythms. This energetic ‘gender’ imbalance affects and harms us all, men and women, for men are not just Yang and women are not just Yin. Moreover, when the feminine Yin is too weak to balance Yang, the expansive masculine energy and becomes unrooted and distorted and loses its beauty – leading to aggression, violence and the authoritarian imposition of power. While this imbalance affects both sexes, women have over the centuries been the biggest victims. This is both because it is the Yin energy that represents our reality as women that has been disrespected, denied and suppressed within us and without and because of the numerous gender-specific practical implications of this. Women’s rights have certainly suffered. But what has even greater implications for redressing the balance is that the gender-skewed cultural norms that we live by have brainwashed us women into believing – at a deep subconscious level – that our female reality, nature and bodies are somehow inferior or wrong. We’ve ended up believing somewhere deep down that our essential qualities and our cyclical menstrual rhythms do make us weaker, less reliable and less productive than men; and that our menstruation itself is at best a burden and at worst shameful. So female disempowerment runs at a deep energetic level, causing many women to be held back by a feeling of low self-worth and self-doubt that does not start with them. If we are to bring real and lasting change to gender inequality and to heal wounds borne by both women and by men, then we women must re-find our power. But most women understandably do not know where to start. Women’s empowerment movements over the last century have often simply reflected and reinforced the prevailing distortion. They have encouraged us to insist that we are no different to men (as different means inferior) and to try instead to beat them at their own game in a distorted-Yang world of cut-throat ambition and competition where showing frailty or acknowledging a cyclical need to rest and withdraw spells failure. Many women have been very successful at this. But (as I know from personal experience and from numerous women I see in my private therapy practice), it often leaves them disconnected from themselves as a woman and comes at a great cost to their own well-being, fertility and health. For this is not how we reclaim our true feminine power. To emerge as strong women and make real headway in achieving gender equality, we must instead each (whatever our age) connect with our cyclical reality as women and reclaim this reality as the source and symbol of our power – not as a sign of our weakness. If your menstruation (or, if you do not menstruate, the low-energy point in your cycle) creates a regular cyclical need in you for some days of quiet Yin internality, reflection, daydreaming, stillness and deep rest, this is not an obstacle to your more Yang qualities of creativity and productivity. Just the opposite is true – it is the origin of them! By following the cyclical flow of the natural world (where night and day cannot exist without each other; where Winter’s dormancy is the source of Summer’s brilliance), our wise bodies are urging us to stop so we can recharge our batteries and replenish our creative stores. Without these Yin moments, our creative juices dry up and our productivity, vitality and well-being plunge (as happens so often in our non-stop, linear lives). Yin is Water to Yang’s Fire. But do not be fooled by Water’s easy-going flow – this is the most powerful force in nature. Not only does its patient and meandering but constant flow towards its destination (the ocean) gradually wear away even the biggest boulders in its way, but it can harness powerful and terrifying might from its deep, dark, untamed depths. The good news is that many women around the world are waking up to this truth and supporting each other to dive deep to re-find their authentic feminine power – and thus, woman by woman, starting to redress the origins of gender imbalance. For us women do have the power to start an irrepressible revolution that will tip the scales back. It is not enough to call out errant men and to demand change to patriarchal power structures. For this targets the symptom, which, while very necessary to raise awareness and reduce some of the suffering, does not touch the cause. Refusing to accept any more the untruth that women’s changing hormones, moods and energy levels through our menstrual or energetic cycles create productivity problems and make us less than reliable or worthy. Embracing you vulnerability as the source of your strength. Don’t pretend to yourself or others that you are not experiencing energy or mood fluctuations or perhaps crippling symptoms – and try not to drug them into linear submission with the Pill. Ignoring your body’s urgent signals and pushing on through to achieve your ambitions come-what-may is the road to ill-health. Stopping believing that even your recreation must always involve intense activity and feeling guilty and lazy if you give in to you bodies calls for some gentle movement or perhaps just to rest and day-dream. Teaching your daughters a different way of honouring their female bodies and being a woman. Educating others and asking that they respect your cyclical needs. 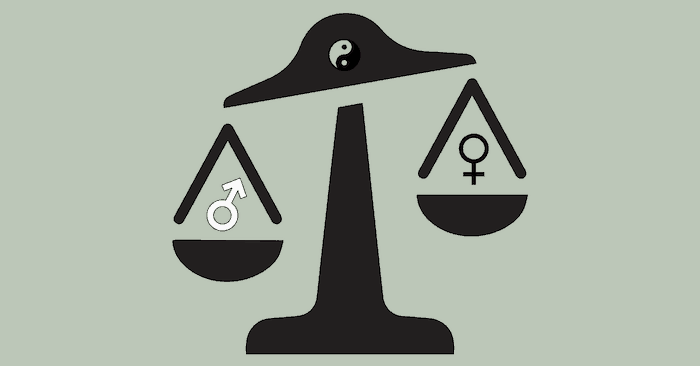 Only when enough women access their authentic feminine power will the scales of gender equality truly start to shift and a new world emerge that values the qualities of Yin and Yang in equal measure. So join this quiet revolution today, International Women’s Day 2018! IN MY NEXT POST, I’LL OUTLINE IN MORE DETAIL STEPS YOU CAN TAKE TO RECONNECT TO YOUR TRUE FEMININE POWER. SIGN UP TO MY MONTHLY NEWSLETTER BELOW. If you’d like support in reconnecting to and honouring your cyclical feminine power, do get in touch.